I don't know if this has been posted before - I did a search and found no relevant matching info. I also don't know if this should be posted under this section so the mod(s) may move it if they want. This "problem" only affects our galaxy as it can be seen in the attached image. 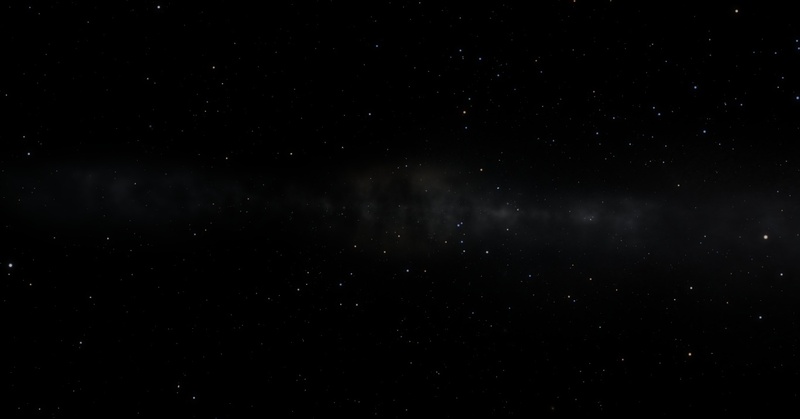 The blending/mixing of procedural and catalogue stars is not very smooth. It appears that there is a wider distribution of catalogue stars above and below the galactic plane - especially a wider variation in the size and spectrum of catalogue stars at the area of the galaxy around our sun and above and below the galactic plane - a noticable huge globular cluster. The procedural stars do not have such variation in the other parts of the galaxy (especially above and below the galactic plane) and this can be seen if you increase the magnitude limit up to around 12-15. Maybe a small modification/tweaking of the code that is responsible for the generation of procedural stars (in our galaxy only) will produce a smoother blending with the catalog stars. Or a modification in the catalog stars that will reduce the apparent magnitude and/or brightness of stars above and below the galactic plane and also the density close to our solar system in order to better mix with the procedural ones. But again I don't care if it can not be fixed - I am happy as it is. The problem is only visible if you are outside the galaxy and increase the magnitude above 9-10 degrees. When you increase the mag limit, the engine tries to generate all stars brighter than that limit for current camera position. But number of stars grows like 4 degree of magnitude (N ~ mag^4), so engine must generate and show you millions of stars. Of course it can't do this, and it begins to delete/regenerate star nodes (it is similar to landscape blinking on high LODs). So galaxy becomes blocky. There is a debug feature I made to control star generation. Go to debug or edit mode and press Ctrl-End several times to reduce "max star level" to 1. Then increase star mag limit to 15-20, you can see a distribution of the most luminous stars (only 1 level of star oct-tree). You will notice some blocking structure - this is an artifact of the stars generation algorithm, it will get fixed in future releases. Catalog stars still shown of every level - Ctrl-End affect is only on procedural stars. Changing of catalog stars to fit procedural stars is crazy idea. Catalog describes real stars taken from observation - why should I change them? Because if you look at the above images, you can see that there is an abnormal high star density area in the part of the galaxy where our sun is located - like a giant globular cluster. Obviously if you reduce the number of catalog stars by deleting entries in the star catalog data file you will make many people unhappy includding myself and maybe yourself as well . So I wonder if you can create an algorithm that will reduce the luminosity of catalogue stars close to our sun by moving a slider for example, similar to the magnitude slider from the menu - but this slider will only affect catalogue stars - the closer to our sun the higher the reduction in magnitude/luminosity. Like a filtering mechanism. 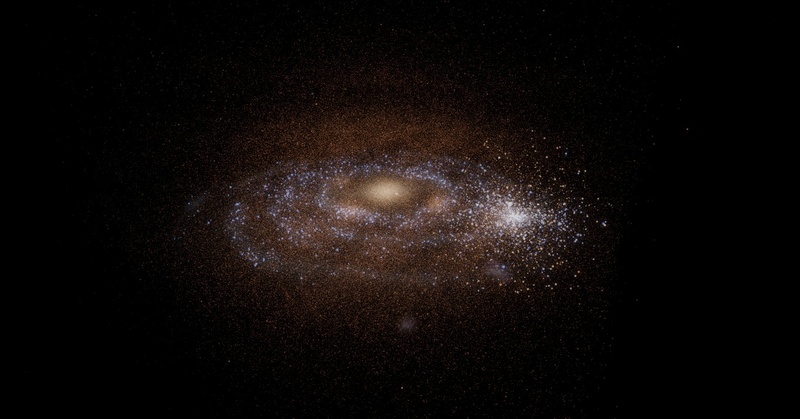 The other option would be to modify the algorithm responsible for the generation of procedural stars, to match the star density close to our sun and extrapolate / predict the density at the rest of the galaxy using actual data or mathematical models. I suspect this is going to be much much harder if not impossible to do . Because if you look at the above images, you can see that there is an abnormal high star density area in the part of the galaxy where our sun is located - like a giant globular cluster. This is an observation selection effect, not real distribution of stars. Our telescopes can't observe stars in entire galaxy, only in the Sun neighborhood. The farther the star, the greater must be its luminosity to detect it. This effect can be seen in that "globular cluster." This is another bad idea. This again destroys realness of catalog. 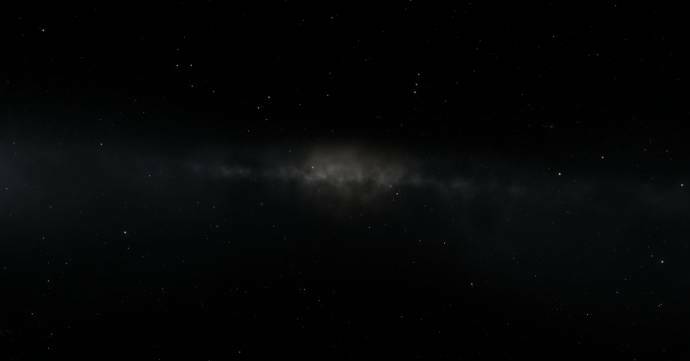 Procedural stars generation algorithm works very well - the density of real stars near the Sun is equivalent to density of procedural stars at opposite side of the galaxy. Ok, scrap my bad idea of reducing luminosity of catalogue stars. I think the problem here is that the engine renders the stars from the catalogs before rendering any procedural stars. Since the video memory is limited, it cannot render all stars so it ends up rendering only the catalog stars. A way to prevent this effect would be to reduce the priority of the catalog stars for rendering, but depending on how the code was implemented this can be very difficult. 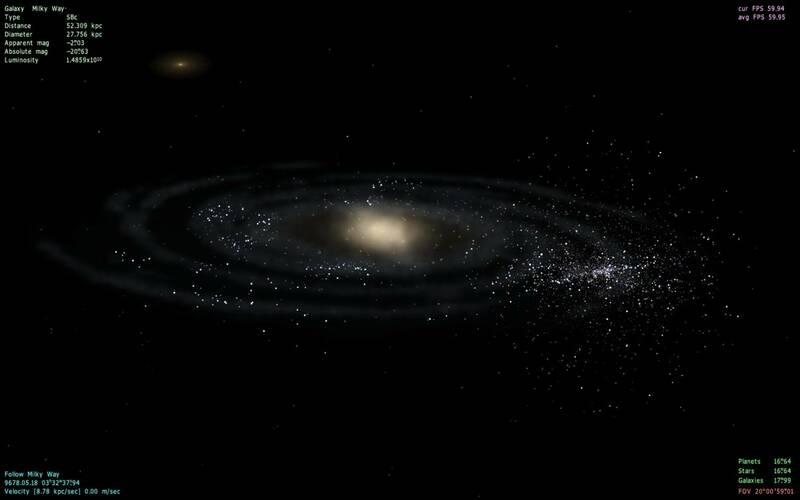 In the image that I post, SE renders All 120k of the real stars, with all its luminosity. But the procedural stars are only at 0 level of octree, and only brighter than 10,000 suns. I can't show you all of the stars at 0 and 1 level, because there are ~100 million of them. THE Catalog stars use an octree algorithm that differs from algorithm for procedural stars, so I can't show you the real stars that are brighter than 10000 suns, as in procedural stars. Anyway, limiting procedural stars octree level is only a debug feature. In normal mode, The Milky Way has the same procedural density as the real ones. I am just curious here as far as the procedural generations of galaxies and celestial bodies go. Is it completely random generation or is it actually a calculated logic based on potentialities of the observable universe? In other words when I stumble upon a Warm Terra with life orbiting some binary star in a part of space humans have only peered at -perhaps exterior to the Milky Way; what is the actual probability of these celestial bodies being in these approximate positions in space?